“We are listening in a room” is a sonic action-talk based around the hybridisation between two key works of 20th century sonic and conceptual art: 4’33’’ (1953) by John Cage and I am sitting in a room (1969) by Alvin Lucier. 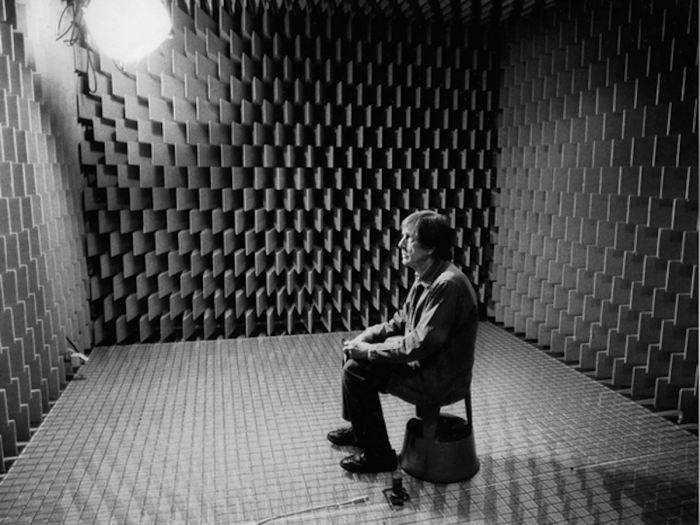 By subjecting the “silence” of the space in which the meeting will take place, Lucier’s device uncovers the resonance of its architecture: its “voice”. This exercise in “expanded listening” and “sonic uncovering” will be a starting point for a later discussion to examine various questions connected with the action of listening and its intimate connection with the act of inhabiting a space. Self-employed curator, critic and researcher specialised in contemporary sonic creation, Arnau Horta has worked at MACBA, Museo Reina Sofía, Sonar Festival and Loop and La Casa Encendida video-art festival, amongst other cultural centres and initiatives. As a lecturer and teacher he has worked with the Universidad Autónoma de Barcelona the University of Barcelona, IED and ESDI. He writes for “Cultura/s” (La Vanguardia), “Babelia” (El País) and Ahora semanal. He is currently working on his doctoral thesis about the phenomenological and post-phenomenological analysis of Alvin Lucier’s “I am sitting in a room”.